The side effects of cancer treatments can particularly affect the palm of your hands. Dry and weakened, desquamations and burning sensations can appear, those are typical symptoms of the hand-foot syndrome. To limit the hand-foot syndrome discomfort, it is essential to take care of your sensitive hands. The 3-Pack Moisturizing Gloves contains 3 pairs of moisturizing gloves that sooth, nourish and help to repair your hands weakened by cancer treatments. They help relieve burning sensations and fight efficiently the first signs of hand-foot syndrome. Their cosmetotextile format and their occlusion action make the gloves easy to use and efficient. And to give more pleasure to your delicate hands, the sensation of freshness and soothing is immediate while putting them on. To obvious hygiene reasons for your weakened hands, Moisturizing Gloves are for single use only. Our Moisturizing Gloves are composed of 98% natural ingredients. They do not contain harmful ingredients or ingredients associated with hormonal imbalances. You can put them on with serenity. Organic Aloe Vera Gel: it allows to sooth the most irritated skins and offers a freshness sensation that helps to relieve burning and discomfort sensations. Sweet Almond Oil: it repairs and protects the weakened skins thanks to fatty acids. 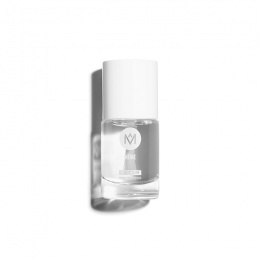 Spread the serum out inside the gloves, separate them and, after washing and drying your hands, slip them inside. Fold back the strip around the wrist and stick it in place using the labels provided. Leave on for 30 minutes, then rub in any excess serum with light massages. No need to rinse. Do not reuse.